Posted on March 28, 2018. It looks like spring may finally be here! Last week’s noreaster thankfully appeared to be a dud. Many locations only received 2 inches of snow after receiving a warning that they would get 2 feet. Now that spring is here, your fleet should inspect lawns and turf for winter damage. 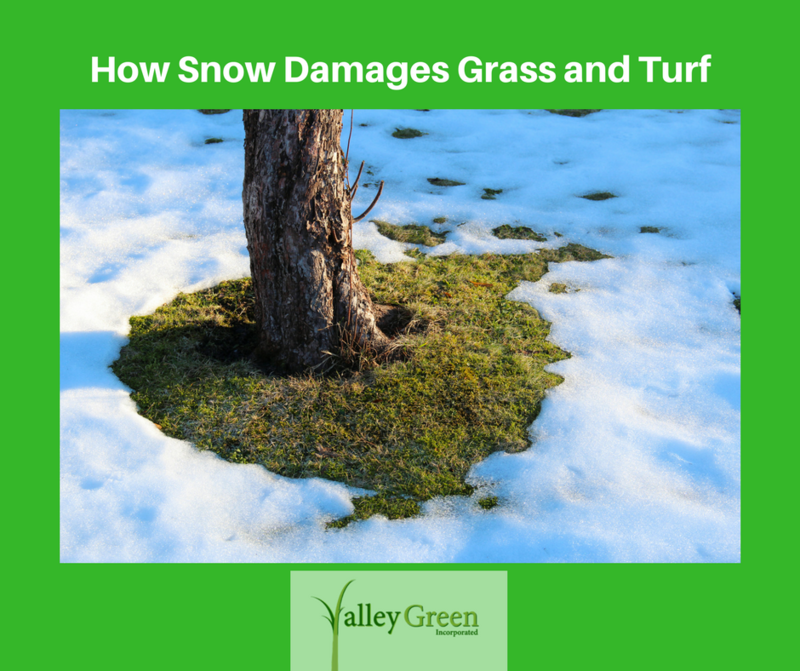 Below are some common ways of how snow damages grass and turf. Crown Hydration – When warm weather is followed by a freeze, turf grasses that have absorbed water can expand and freeze, and this kills the crown. This is most common in later winter and early spring. This can be prevented by cracking the ice that has accumulated on top of the grass or turf. Winter Desiccation – Dessication occurs when the amount of water lost by the foliage exceeds the amount picked up by the roots. To prevent Winter Desiccation, give plants a deep soaking before the ground freezes if it has been a dry fall season. This gives them more moisture before the frozen ground prevents the roots from getting enough water.